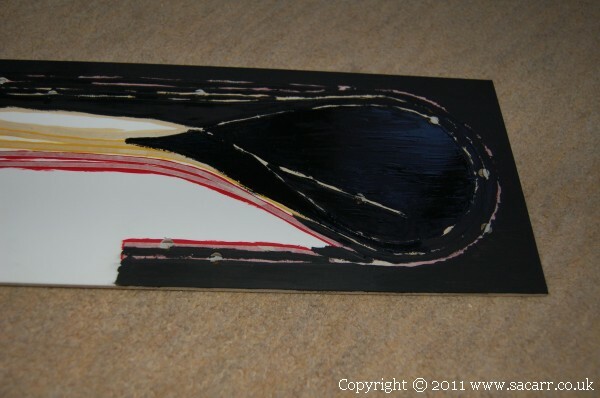 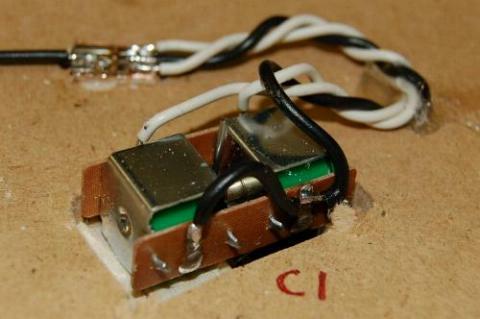 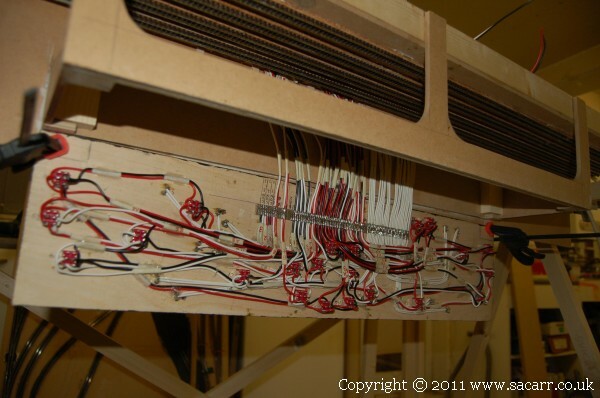 The control panel is a styrene faced sheet of 1/8 plywood. 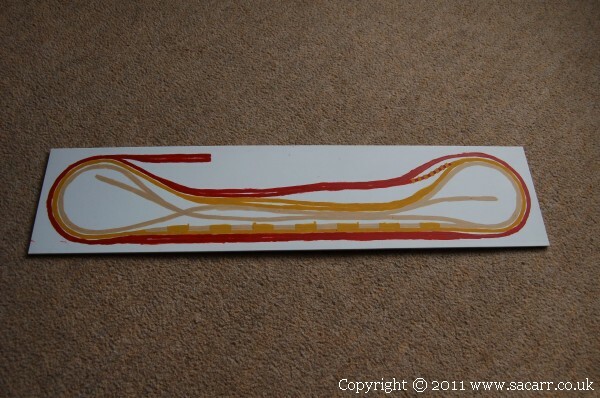 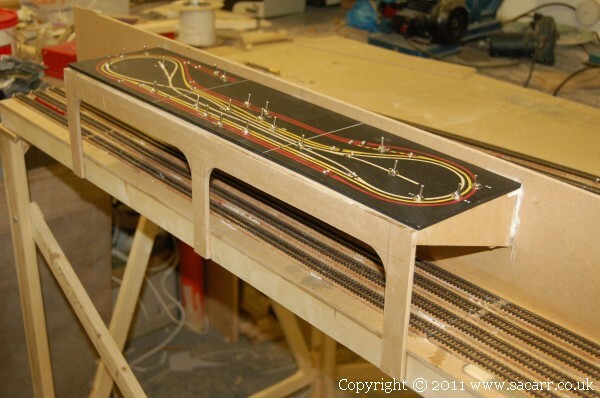 Each of the tracks is painted a different colour, and the controllers are colour matched to their respective line. 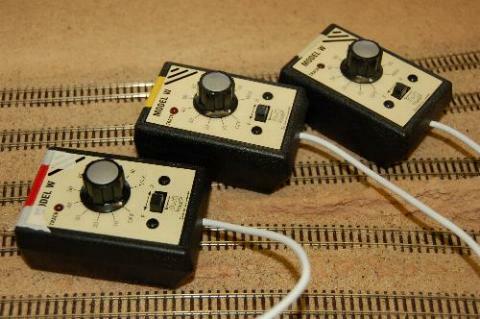 The only 'Dual Cab Control' blocks are the sections of track that cross over between each loop, otherwise each controller only has its own loop of track. 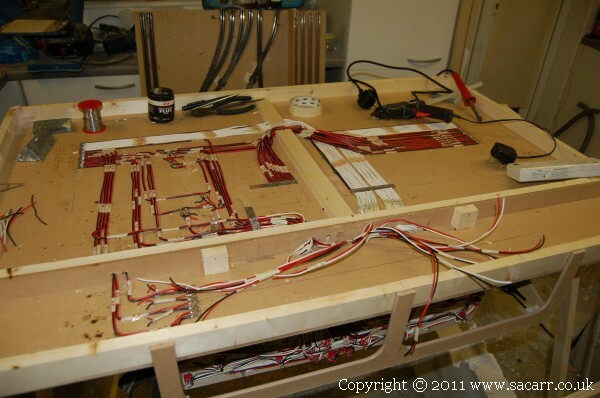 The layout is wired for DC operation, and while it looks complicated, the wiring is layed out in a logical manner and well labelled.